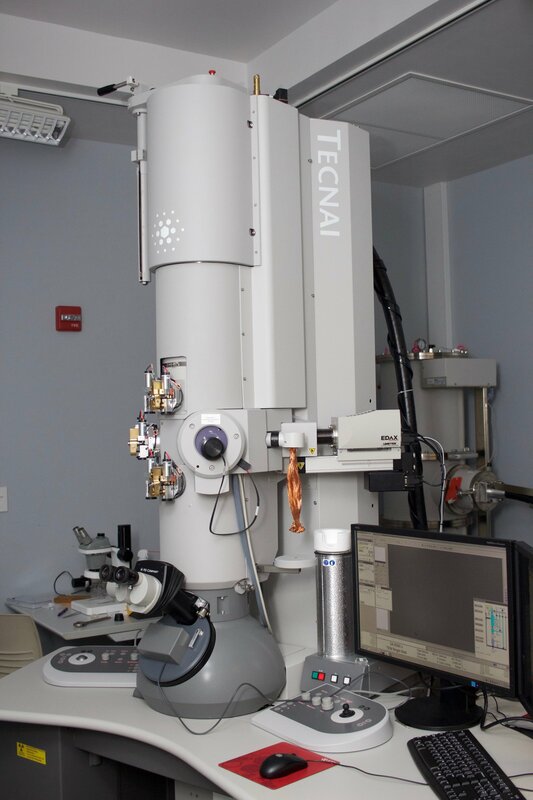 The Tecnai G2 30 TWIN is a 300 kV Transmission Electron Microscope. 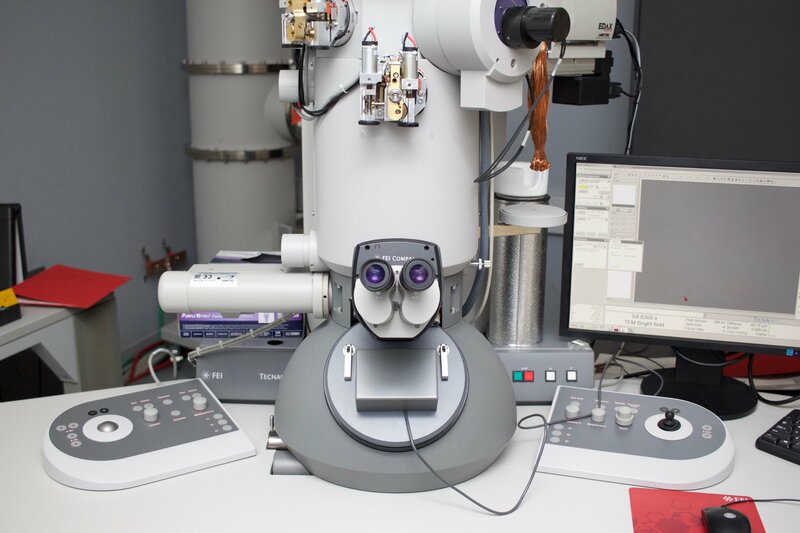 It is a high-resolution microscope, optimized for complete and versatile performance, which fulfills the basic needs of a general research environment (with high-tilt applications such as diffraction experiments) or perhaps a cross-disciplinary laboratory such as a joint Materials Science/Life Science establishment. The relatively large pole-piece gap allows for a variety of stages and detectors to be fitted in this instrument. In the unique Tecnai concept, all microscope components, like the electron gun, the optical elements, the vacuum system and the stage, are completely digitally controlled. The task-oriented user interface allows users to automatically recall all optimized operating conditions including lens settings, gun parameters, optical alignments, aperture alignments (optional) for all the different techniques such as TEM, STEM, CBED, Diffraction and Analysis. Likewise, all detectors, such as CCD cameras, STEM detectors, EDS detectors and EELS detectors are computer controlled. Data acquisition, using these detectors, is embedded in the Tecnai G2 user interface and can be automated for acquisition processes, like tomography and spectrum imaging. Because of this sophisticated computer system, Tecnai G2 is especially suited for multi-user and multi-discipline environments. In addition, the Tecnai G2 systems are equipped with the industry standard, reliable and fast FireWire data transfer technology. The system can be equipped with a single or dual monitor set-up depending on the number of detectors on the system. Tecnai G2 can easily be connected to a network for exporting data and is ready for remote operation capabilities allowing for operation from an adjacent room and remote viewing during data acquisition.